The Northern Suburbs in Cape Town is an often-overlooked area. There is plenty on offer, from stunning beaches and gorgeous wine farms to great restaurants, bars, and entertainment. You could spend a week here and still have more to do, but here are some highlights to check out if you only have one day in the Northern Suburbs. Start the day off with breakfast and coffee at Ons Huisie. It’s a popular establishment, housed in a 200-year-old heritage building. The sea views alone make it worth the visit, but you’ll stay for the breakfast menu. The French toast with banana, bacon, and maple syrup is an indulgent favorite with locals. Their cooked breakfasts are great too; try the Open Sandwich (their take on eggs benedict) or the massive, satisfying Farmer’s Choice, which comes with eggs, steak, boerewors, baked beans, and chips. After breakfast, it’s time to enjoy what Blouberg is most famous for: the stunning coast. There are two main beaches: Big Bay and Blaauwberg Beach. Big Bay is a one-kilometre stretch of sandy shoreline. Go for long walks, surfing, or kitesurfing if the wind is blowing. It’s also a pet friendly beach, and beach wheelchairs are available here. 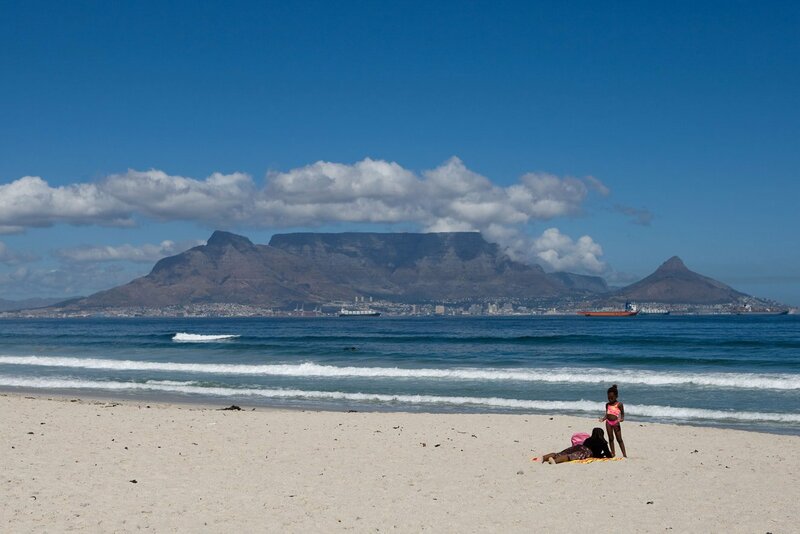 Blaauwberg Beach offers the famous view of Table Mountain over the bay. It is also popular with surfers and kitesurfers, because the winds here bring a big surf. It’s also good for swimming. There are also many operators providing kite surfing lessons in the area, if you’re brave enough to give it a go. After your beach trip, check out the SANCCOB Western Cape Seabird Rehabilitation Center, just a short drive away in Table View. They’re open seven days a week and offer hourly guided tours. You’ll meet the seabirds, including African penguins, and learn about the amazing work SANCCOB does rehabilitating them. It only takes an hour, so you’ll be ready to go by lunch time! Bellvilleis centrally located in the Northern Suburbs and is home to a few places that are great for kids. 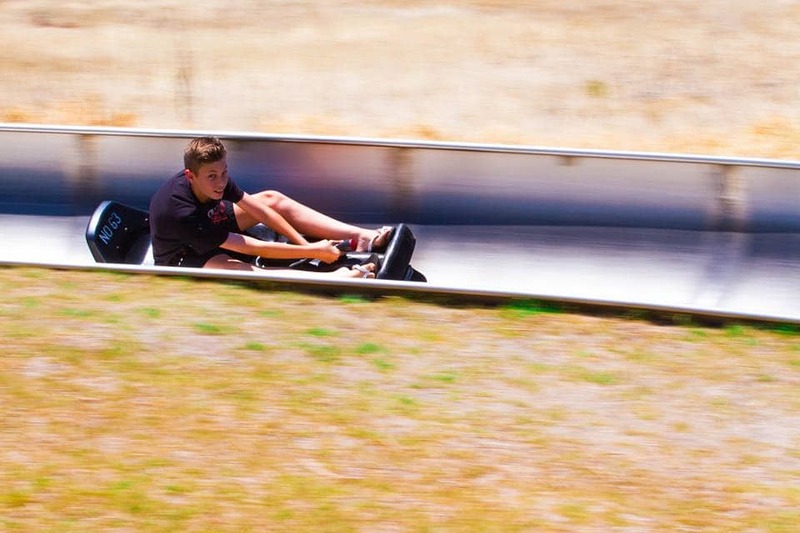 Try Cool Runnings Toboggan Family Park for the sunny equivalent to this snowy activity. The toboggans run on a stainless steel track, with 17 corners, S-bends and a tunnel. You can control your own speed with a break, but adrenaline junkies can easily reach up to a whopping 40km an hour. If you have time, Tygerberg Nature Reserve is a great way to spend an hour or two. It’s perfect for a short, kid-friendly walk, with fantastic scenery. Just outside of Bellville, en route to Durbanville, you’ll find De Grendel Wine Estate. It has one of the best restaurants in the Northern Suburbs. Expect local ingredients and a simple menu that changes daily depending on the available ingredients. The dishes are creative and flavourful, with a modern edge. Don’t skip the Brandy & Coke Ice Cream—a gourmet twist on a Northern Suburbs staple. Note that they’re closed on Mondays, and bookings are essential. After a leisurely lunch, head out to explore the Durbanville Wine Route. You’ll have to pick two or three estates, because there are too many for just an afternoon. Some have very unique pairings (such as chocolate and wine or pizza and wine) while others have great facilities for kids. There are 12 farms in the valley and all are worth exploring – Altydgedacht, Bloemendal, D’Aria, DeGrendel, Dimersdal, Durbanville Hills, Hillcrest, Klein Roosboom, Meeredndal, N’Tida, Phizante Kraal, and Signal Gun. As the day draws to a close, make your way to Grandwest Casino and Entertainment World, where you’ll find no shortage of things to do! It’s one of the hottest tickets in the Northern Suburbs. There’s the casino, of course, but tyou could also try your hand at ice-skating in the Olympic-size rink, play 10-pin bowling, or catch a film at the cinema. There are also plenty of restaurants, ranging from fine dining to family favourites and takeout joints. There are also frequent events, including live music, so check out their website to see if anything’s on while you’re visiting.